Active role in interfaith work from its early “Informal” years, then in the formation of CIFN as an organisation and recruitment of a Development Worker. As Vice-Chairman of the Management Committee and Chair of the Events Sub-Committee, worked hard together with others, to get CIFN to become a well-known and respected partner with all stakeholders in Crawley. 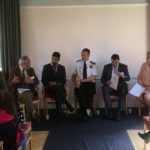 The engagement and participation of Crawley Mosques and Muslim organisations in CIFN activities and events was a gradual process which I pursued with passion, the success of which was due to being an active voluntary worker serving that community. As organiser of talks to local schools, I have forged a friendly and strong relationship with all major faith groups in Crawley. Worked for 30 years as a Chartered Biochemical Engineer, then part time for 10 years with Social Services supporting adults with learning difficulties. 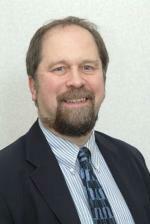 Trustee Crawley Council for Voluntary Services. I believe that Networking at the regional level is important for supporting individual groups to form stronger links with local and national organisations and to gain from shared experiences, for the benefit of all “Grassroots” members in the region. 58 years old – German wife and 4 grown up children. Qualified children and families social worker. 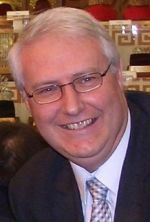 Faith – Unificationist (Unification Church of Rev Sun Myung Moon) Chair of Hastings and District Interfaith Forum. 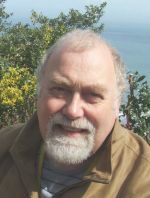 Trustee of Hastings Voluntary Action. 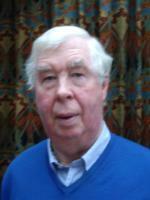 Member of Steering Group for Sussex Pathways Vice President Universal Peace Federation Europe Active in Interfaith since 1990 when involved in a working group to set up an interfaith forum in Manchester. 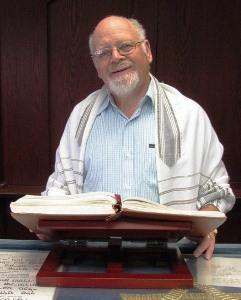 Rabbi Charles Wallach was born in South Africa. 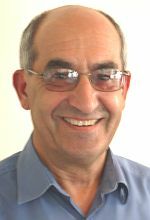 A graduate of Leo Baeck College, in a career of over 40 years he has served communities in his native South Africa, Australia , Israel and Britain where he was twice Rabbi in Brighton & Hove. During his career he was very actively involved in interfaith work. He is a former member of the National Religious Leaders Forum of South Africa which was set up by Nelson Mandela. Rabbi Wallach had his own program on South African radio and scripted and presented the first ever Jewish religious service on both British and Australian television. He is still called on to present model Passover meals or sedarim having done so to over 100 ethnic Chinese in the Kings Cross area in 2014. Married to Marilyn they have two daughters and nine grandchildren. Now effectively retired, he spends his time chiefly either assisting communities which are without full time rabbis or teaching and lecturing. He also serves as a Chaplain to the NHS in Sussex. Currently serve as Hon Sec for the Oxford Diocesan Committee for Inter-faith Concerns (ODCIC) having previously been Chair. I have held similar posts with Reading Inter-faith Group. He is a member of the National Diocesan Inter-faith Advisers Group (Anglican) and also of the Christian/ Muslim Contact Group at Lambeth Palace. Emel is a linguist, teacher/translator of Turkish and English as well as a journalist/writer. She also has a Masters degree in Clinical Psychology. 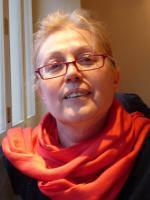 She has worked in Turkey for 17 years as a linguist and journalist, before moving to the UK in 1988. She has worked at BBC Monitoring Service Research Unit for 16 years where she has retired as a senior researcher. Emel has been working for Art Beyond Belief as a psychologist, where she co-develops digital art projects which allow vulnerable individuals to create their own artistic vocabulary. She has worked with a diversity of clients, ranging from offenders to victims of domestic violence and from people with mental health problems to people with autism and dementia. 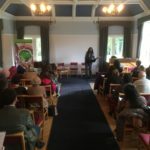 As Secretary of Slough Faith Partnership, she has been actively working in the last ten years to establish a solid and diverse database for the organisation, encouraging memberships, promoting the profile of the organisation, organizing meetings and coordinating events, searching events, conferences and other interfaith activities. As a liberal Muslim, she brought a fresh approach to Slough Faith Partnership and offers this experience and knowledge to SEEFF. 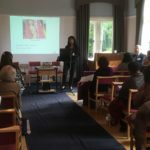 Emel believes that the future of communication is in digital media and has a strong flair and experience in setting up and maintaining Facebook and Twitter pages and Linkedin profiles for both Art Beyond Belief and Slough Faith Partnership and keeps them up to date. She is also responsible for updating SEEFF Website. Emel is a member of British Psychologists Society. She is a keen reader and still writes for Turkish media. She has also translated several novels from English into Turkish and vice versa. David trained in photography, and worked in local journalism before starting his own photographic business, which he ran for thirty years before founding Art Beyond Belief in 2005. He has illustrated many books on automotive design and motoring, and his work has been featured in high profile magazines and journals. David is the creative lead and project manager for all Art Beyond Belief projects. His first ABB project was the Via Dolorosa, in which a traditional Christian narrative was interpreted by artists of different faiths. He has since managed Faith Junction – a series of interviews between ordinary people of faith, the Festival of Dialogue, which incorporated discussion forums, a ‘borrow-a person’ scheme at Slough Library, an interfaith conference, Sacred Spaces – video work created by sixth formers, Who Am I? – Religious Identity of young people and currently running Why Do I? – a project part of Fear, Faith and Friendship Project that examines embedded codes of behaviour. In addition, David also develops and delivers ABB’s mental health and well being programmes, designed to foster self-confidence and self-determination to vulnerable groups in the areas of domestic violence, mental health, dementia, autism and learning disability. David’s other interests include art and music. He is a member of the Wynkyn de Worde typographical society, a member of the Guild of Motoring Writers, and a member of the Thomas Merton Society. Though an American, Elizabeth has lived in the UK for over a decade. A librarian by profession, she is semi-retired and primarily does editing and proofreading now. 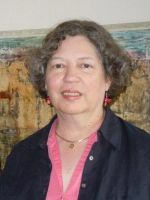 A member of the Hampshire Interfaith Network, Elizabeth serves on various national Baha’i committees and represents the Baha’i Faith on three SACREs in Hampshire. She also assists in the chaplaincy at the Royal Hampshire Hospital in Winchester. My interest in inter-faith stems from having a number of Muslim student lodgers in my home. 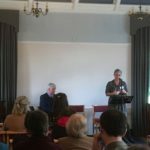 On the Guildford Inter-Faith Forum, I represent the Guildford (Portsmouth Road) United Reformed Church, of which I’ve been a member since moving to Guildford in 1990, and where I have in the past organised a few small inter-faith meetings. I would like to see SEEFF becoming at least partly funded by members, both individuals and organisations, paying a modest annual subscription. My organisational experience should be valuable to SEEFF. I was for a few years not long ago an unpaid Director of Railfuture, which became a company a few years ago. I was the Treasurer and a past Chairman of its London & South-East Branch. I represent the Society internationally in the European Passengers Federation. I am Secretary of the Surrey Border Chess League and the second-team (Under-180) captain for the Surrey County Chess Association. I organise tournaments and captain one team for the Guildford Chess Club. In the past, I was “Grading Programmer” for the Southern Counties Chess Union. I have a Cambridge University degree in Mathematics, did 6 years’ school teaching, was an IT professional for over 25 years, and most recently have worked in railways, finally as Revenue Protection Data Analyst manager for South West Trains from 2007 until the post was cut in January 2009, after which I have been retired from paid employment. Separately from Rail future, I also represent Guildford rail users at meetings with South West Trains. I was born in 1948. Formerly on Oxfordshire and Leicester SACREs. Her husband is the Imam of Shah Jahan Mosque and they have three son’s aged 6, 3 and 10 months. They have lived in Woking for 7 years. 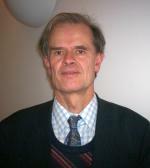 Kauser works for the Diocese of Guildford, Church of England as Faith Links Adviser. 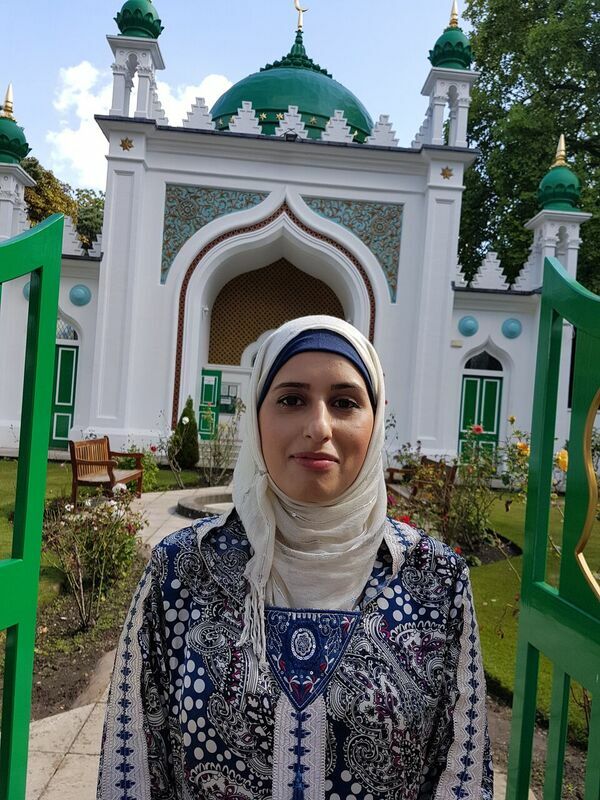 She is passionate about building positive relationships between people of all faiths and none and has been actively involved in social events particularly in the area of interfaith for the past 10 years.